For young Humberto Marquez, dedicating himself to his studies meant he could get away from the bullying he received in school. “I invested a lot of time in books,” the studious Marquez recalled. It’s a feeling shared by many a bookworm, but for him the story is a little different. 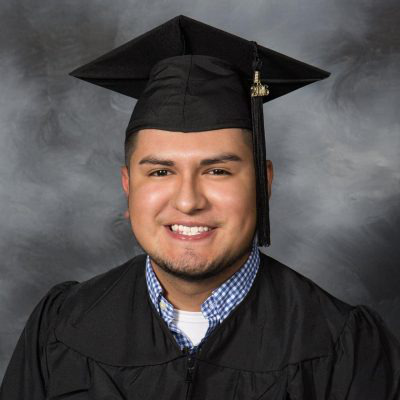 Now in his 20’s and a resounding success story of getting a post-secondary education as a DACA recipient, he parlayed those books into a dream, which now inspires him to perform community organizing for Arkansas United Community Coalition. Many youngsters are bullied, but for Marquez the cause surely stung fiercely as a Hispanic kid stuck in rural, largely White Western Arkansas, the small city of Waldron nestled in the Ouachita Mountains near Fort Smith. Born in Mexico, Marquez and his family first moved to Los Angeles, where they felt right at home, so much so he didn’t realize they’d immigrated. No culture shock was felt there, but the economic struggle was real. So the promised land of Arkansas became the Marquez family’s new home, and that’s where the shock came and, along with it, opportunity. Although unfamiliar with everything from the food to the English language, Humberto persevered even as he felt different from everyone else and gradually realized his undocumented status limited life’s options. “I felt like the kid who did not look like the rest of the crowd,” Marquez remembers. But he applied himself, becoming an honors student by 4th or 5th grade. For him, those books became a defense mechanism of sorts, a way to achieve his dreams. That’s how he puts it, years later, after earning his bachelor’s degree in international business from the University of Arkansas Fort Smith. It’s an achievement gained where the usual obstacles were magnified as a result of the roadblocks that he and others maneuvered around as undocumented immigrants. The DACA immigration policy was announced soon after his high school graduation, and for him it provided a world of difference. With DACA, he could work. Earning his first-ever paycheck helped him be mobile, more comfortable and work his way through school. It’s part of being a student that many may take for granted, but for him those paychecks were not easy to get. For an undocumented immigrant like Marquez, a public school in Arkansas couldn’t offer in-state tuition, so the cost would be three times more than other students, he said. It was a grim realization to consider on high school graduation day. He estimates he paid 40 to 50 percent of his educational expenses out of his personal pocketbook, having been helped by contributions and even scholarships from people who wanted to support Dreamers like him. Marquez earned college credit while in high school, another way he was able to achieve a degree, essentially entering UAFS as a sophomore. He maintained a strong G.P.A., stayed active at his university (competing in Phi Beta Lambda) and worked a part-time job at Chick-fil-A. “It was my second year of college, I finally acquired my first car,” Marquez said, noting he put in extra work hours to steadily keep at his studies. He wanted to take a break, but he knew that would make it much more difficult to graduate. He went straight on through. Looking back, he believes that he may have graduated with or without his DACA status, but his employment prospects would’ve been grimmer. “No matter what happens, no one can take away my degree from me,” Marquez said. He’s thankful he can take his expertise with him anywhere, even back to Mexico if need be, a reality he acknowledges is possible. “I’ll continue fighting to stay in this country because this is my home,” he said. And as a community organizer, he’s in touch with students who, with the current DACA policy uncertainty, face an even tougher educational climate. High schoolers who are undocumented don’t have the hope of applying for DACA anytime soon. They can’t get a job or a driver’s license, he said. “I’ve talked to some of them and they’ve lost all hope,” Marquez said. This cuts them off from their dreams and hurts local communities, he said. He knows Dreamers who still attend college but also ones who’ve quit because it’s too expensive and they worry they won’t be able to do anything with their degree. “They feel like most of their money is being thrown away at the moment, and I can really relate with that,” Marquez said. For the Hispanic Association of Colleges and Universities (HACU), the issue is a larger one encompassing all Dreamers and the need for Congress to pass a DREAM Act. That’s the best way to support individuals of a college-going age, said Luis Maldonado, chief advocacy officer at HACU. If such legislation were to be finalized and students knew what could be expected with official, formal legal standing, HACU would encourage them to return to school and thereby better contribute to society, their communities and families. “The lack of a formal policy is a great interruption for people planning and trying to decide their future,” Maldonado said. HACU encourages Congress to pass a Dream Act and invest in this population of immigrants. Because of Congressional inaction, different areas of the country are addressing the matter in a variety of ways, which means there’s a hodgepodge of approaches and solutions. There are states like California and Texas, which allow undocumented students to pay in-state tuition. Then there’s South Carolina, which won’t allow undocumented students to even attend a post-secondary public educational institution. “That’s the other extreme of that,” Maldonado said. Immigrant advocacy organizations like United We Dream see this and urge undocumented immigrants to renew their DACA status. And they see that DACA uncertainty is fuel to get Dreamers involved at the local level, students pushing for education equity in states like New York, said Bruna Bouhid, communications manager for United We Dream. “You’re seeing in more blue states there’s a lot of work being done on that,” Bouhid said about educational equity. In red states, though, there’s push back on such policies. This is simply how it is while waiting for a permanent legislative solution like the DREAM Act, she said. “Obviously, there is a lot of fear over what the future holds,” Bouhid said. At the same time, young people are getting involved. On Twitter, undocumented immigrant students have talked openly about their experiences, celebrating their successes in education with the hashtag #undocugrad. Undocumented people are resilient and will continue the fight, Bouhid said. “That’s why we’re going to be more involved locally,” she vowed.